LUSAKA, Wednesday, May 15, 2013 – His Excellency, Mr. Michael Chilufya Sata, President of the Republic of Zambia, has assured Zambians that the PF government is taking bold steps to facilitate practical and equitable distribution of national resources amongst the general populace. President Sata said the government is executing progressive decisions such as the removals of the fertilizer subsidy to enable it dispense development equitably throughout the various sectors and regions of the country. “Our people have to understand that maize subsidies have been a pillar for the huge economic inequality in our society as they only benefit the already well to do middlemen and not the targeted vulnerable groups of our society. We are simply channelling resources to the very poor citizens of our society and we are certain that for real economic and well distributed growth to occur, these changes are necessary. 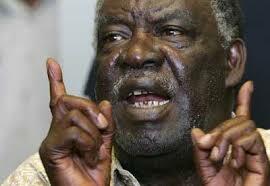 Therefore, all well-meaning Zambians need to look at days beyond today and tomorrow,” the President said. The Head of State emphasised that the Farmer Input Support Programme (FISP) is one such case where a lot of resources have been spent without the government and poor farmers recording any tangible outcome. “The public may wish to know that during 2012, the budget allocation for the FISP was K500 Billion against actual expenditure of K1.181 Trillion, representing a budget overrun of K681.2 Billion; while during the year 2011, K485 Billion was budgeted against actual expenditure of K1,354.70 Trillion, representing a budget overrun of K869.7 Billion,” President Sata said. The President further said the budget allocations to the Ministry of Agriculture and Livestock for the year 2011 was K1.2 Trillion while for the year 2012 was K1.6 Trillion, which was far much less than the actual expenditure on both the maize marketing and FISP programmes. “As a result money was diverted from other pressing social and economic needs to finance the two programmes, which have not directly benefitted the vulnerable groups in our society,” he said. President Sata said he was confident that the long-term benefits of these seemingly harsh decisions outweigh the short-term expectations. “Our appeal to the Zambian people is not give an ear to habitual armchair critics or those practising ‘megaphone’ politics without immediate or long-term solutions in sight to the numerous challenges facing the country. Those claiming that funds are being channelled to by-elections are only being mischievous because the money for by-elections is budgeted for and government doesn’t need to withdraw money from other key sectors to fund by-elections,” he said. President Sata said the savings that will be realized, by government, through the higher contribution by farmers towards the cost of fertilizer, will all be used to increase support towards the diversification of the agriculture sector including effective livestock disease control and the construction of grain storage facilities. “Further, in order to encourage progressive farmers to make long-term investment in customary land, our government in consultation with Chiefs and other traditionalauthorities will introduce legislation to ensure security of tenure for such land,” he says. President Sata reiterated government’s commitment to increased household food security and incomes of small-scale farmers in order to reduce poverty in line with the PF Manifesto which promotes diversifying the agriculture sector. President Sata thanked the Zambian people for the patience and continued faith in his administration’s vision for the country.